Viknesh Vijayenthiran January 7, 2019 Comment Now! 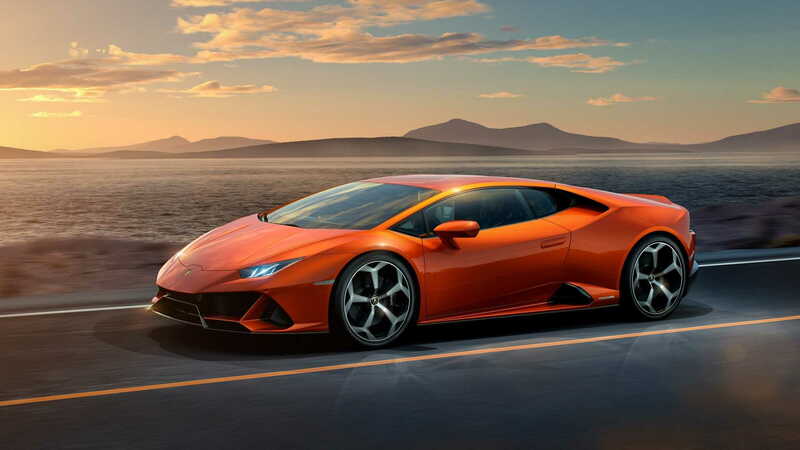 It's hard to believe it's been more than four years since Lamborghini first graced us with the Huracan, especially since the design remains as intoxicating as ever and, in Performante trim, you'll be hard pressed to find a faster car around a racetrack. 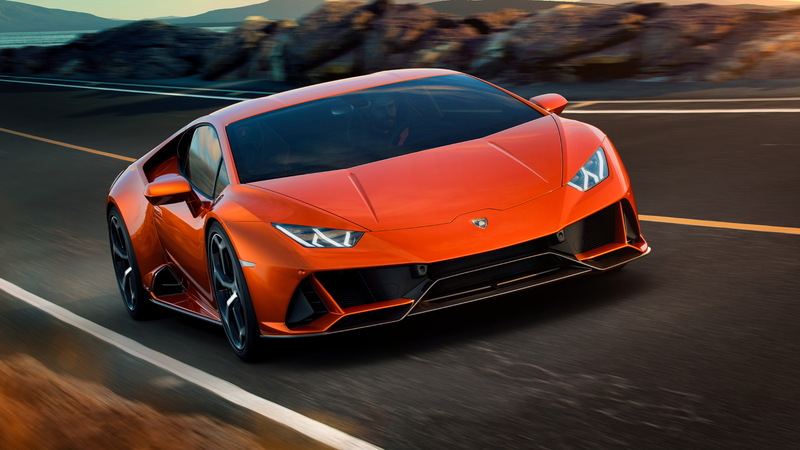 Nevertheless, Lamborghini has prepared a subtle update to keep the Huracan looking and feeling fresh as the car reaches the midway point in its life cycle. It goes on sale in the spring, priced from $261,274. Unveiled Monday ahead of a likely world debut in March at the 2019 Geneva International Motor Show, the updated Huracan is labeled an Evo, and it features significant upgrades while maintaining the Huracan's handsome looks. The biggest changes, visually, are new front and rear fascias. The rear in particular features a new design for the main vent which now stretches the width of the car, and the exhaust tips have been moved higher to match the positioning of the exhaust tips on the Performante model. That isn't just for show as we can confirm the Huracan Evo features the same engine spec as the Performante. The 5.2-liter V-10 in the Huracan Evo matches the Performante's 640 horsepower and 442 pound-feet of torque. Thanks to a 7-speed dual-clutch transmission, all-wheel drive, and a 3,135-pound curb weight, the output is enough to rocket the Huracan Evo to 62 mph from rest in 2.9 seconds. The top speed is claimed to be in excess of 202 mph. 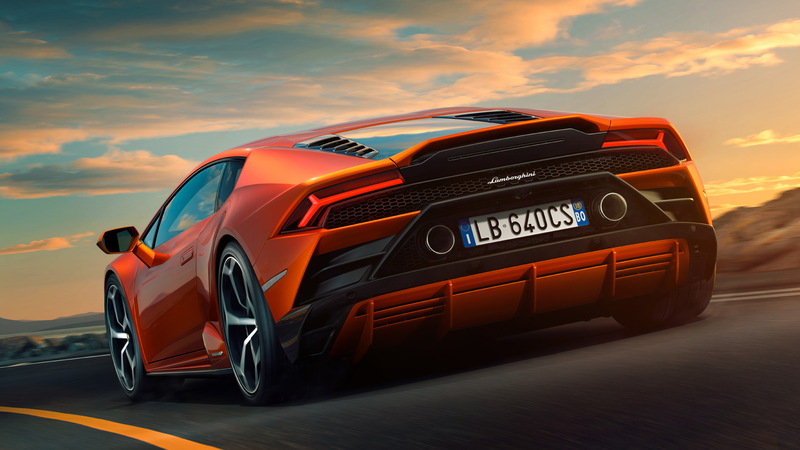 To improve performance at the limit, Lamborghini added four-wheel steering and an improved torque vectoring system that can vary torque to individual wheels. The automaker also developed a computer system that controls every aspect of the car’s dynamic behaviour, fully integrating all of the dynamic systems and setup to anticipate the next move and needs of the driver via steering wheel, brake and accelerator pedal inputs. The driver can control the severity via the driving modes selector. 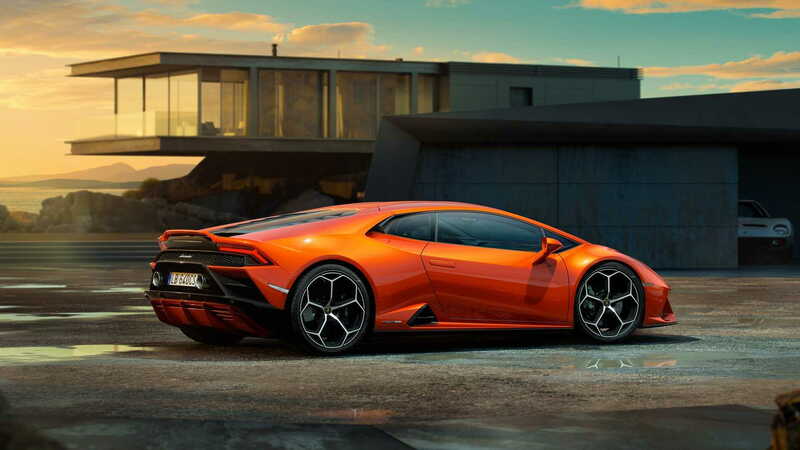 Lamborghini also upgraded the previous Huracan's chassis sensors for better precision and the magnetic suspension dampers for better response. The steering system also benefited from the four-wheel steering; the result is better agility at low speeds and maximum stability at high speeds. The Huracan Evo doesn't get the Performante's trick active aerodynamics system, but there is improved aero particularly in the area of efficiency but also downforce. Up front you'll notice a new fascia with enlarged intakes as well as a new splitter. Larger intakes also feature in the side skirts, while at the rear sits an integrated wing spoiler and more aggressive diffuser. The interior has been tweaked, too, with a new touchscreen display added to the center stack. It measures 8.4 inches across and controls multiple driving functions as well as connectivity, including Apple CarPlay smartphone integration. It also enables voice commands and puts the driver in touch with Siri. A dual-camera telemetry system is available, allowing advanced telemetry recording and analysis. 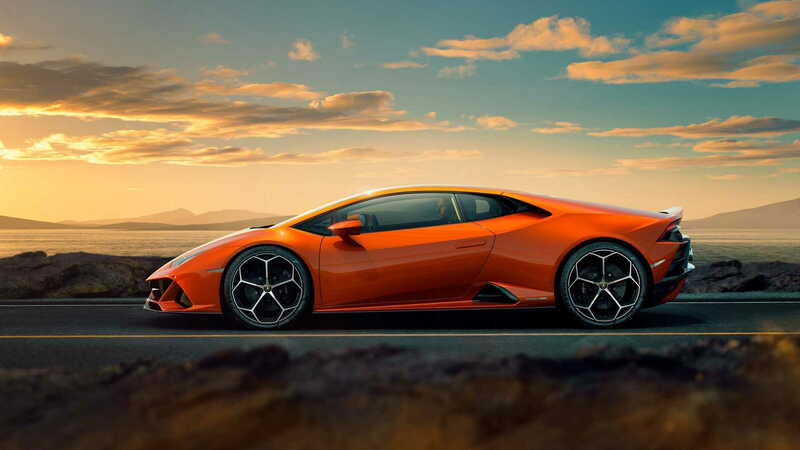 With the regular Huracán's extra prowess, the track-focused Performante is expected to be phased out. A successor will likely be launched however, prior to the arrival of the Huracan's replacement around 2022.